Daniels Electric, LLC has been providing high quality, affordable services to Massachusetts, New Hampshire and Maine for over 30 years. Why do our customers keep coming back? Because they can count on us. We have developed a reputation for integrity and quality since 1986. Our friendly and knowledgeable electricians will do the job right the first time. Our affordable prices and quality workmanship will deliver the peace of mind that you made the right decision. 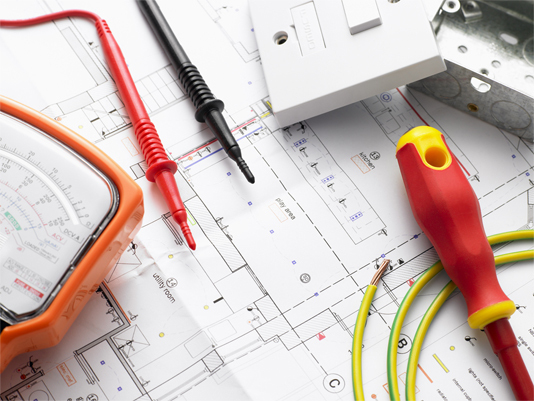 Whether it’s interior/exterior lighting, troubleshooting or general wiring, Daniels Electric, LLC has the experience you need to get the job done RIGHT! That’s why repeat customers make up the majority of our work. Call us to experience the Daniels Electric difference. For our Industrial and Commercial clients, we can expertly relamp your light fittings to ensure your lights are operating brightly and providing the light output desired. We clean the diffuser or lens and reflective surfaces to ensure you are maximising your light output. We can relamp all types of lamps or globes. We can also recommend the latest cost effective energy saving alternatives that can save you real money in operating costs. Send us an email and we will take care of all of your lighting and electrical needs! Steve and his crew are the best. They completely rewired my barn in addition to some home wiring improvements. They were efficient, neat, professional, and aimed to please. I couldn't have asked for better results. Steve Daniels and Daniels Electric are the consummate professionals. As a local realtor and investor, I call on them frequently to quote jobs large and small, both for myself and my clients. It is crucial to my business that I can be certain with my referrals. In every case, Steve and his crew have been competitive, dependable, flexible, and highly competent. I recommend Daniels Electric exclusively, and with great confidence. Steve has the ability to walk through a project and instantly determine what your lighting needs are and is knowledgeable in all the newest products available. His crew is experienced and efficient. Whether its a remodel or new construction Steve gets the job done on budget and on time. Portions Copyright © 2018 Daniels Electric LLC. Portions Copyright © 2018 Merrimack Valley Web Design.